April V. Lane Hartmann begins her second year as Paris Junior College’s head softball coach, and her ninth year of coaching. 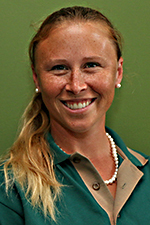 She is also an instructor in the Kinesiology department. While working on her Ph.D in Exercise Physiology, she served as an assistant coach at Austin College in Sherman, Texas, and at Murray State College in Tishomingo, Okla., where she helped coach the team to a NJCAA Division II Region 2 championship title. Prior to that she was at Texas Woman’s University where she coached softball and taught upper level classmates while continuing her education. Lane became head basketball coach and physical education instructor at New Springs Middle School in Tampa, Fla., in 2010. In 2009, she attended Sul Ross States University in Alpine, Texas, working closely with pitchers and conditioning as well as earning her M.Ed. in Kinesiology. She received her B.S. in physics from the University of South Florida while volunteering as a softball coach at Gibbs High School and later became their head varsity volleyball coach. Lane began her playing career pitching for St. Petersburg College in St. Petersburg, Fla., where she earned her Associate of Arts degree. She is married to Sean M. Lane Hartmann; they are parents to William and Emily and reside in Honey Grove, Texas. 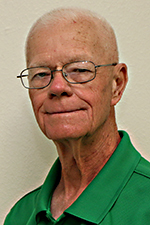 Jack Butler (Mr. Jack) returns to PJC for his 14th year assisting with the Lady Dragons. He works with the infield and oversees field maintenance. He is a graduate of the University of Kentucky, where he played softball. While in the military, he coached baseball with the 1st Infantry Division of the United States Army.